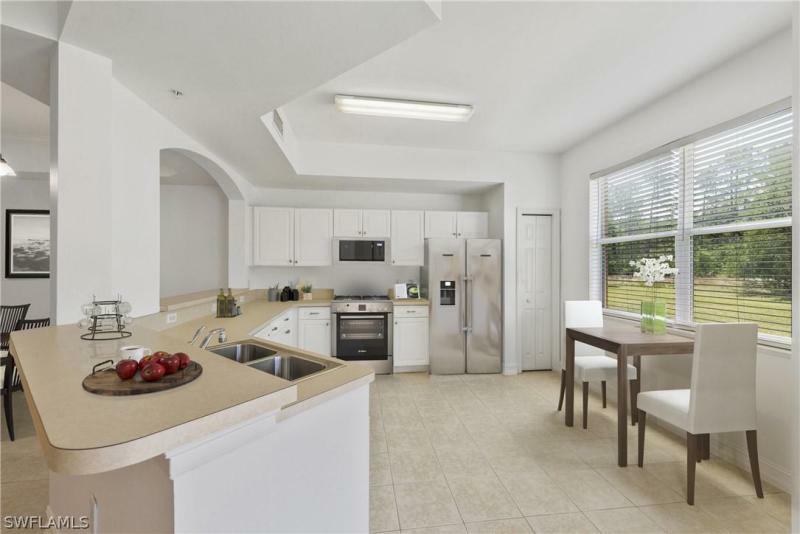 Brand NEW Stainless Steel Appliances, Fresh Paint, New Carpet. 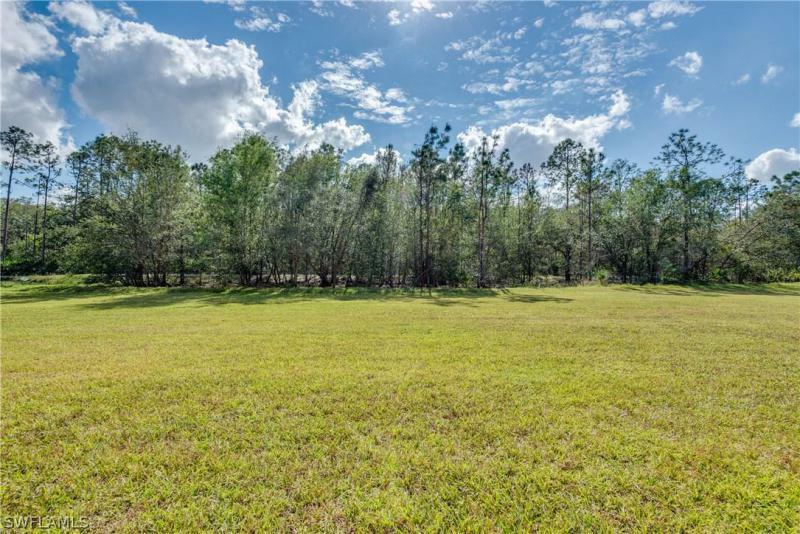 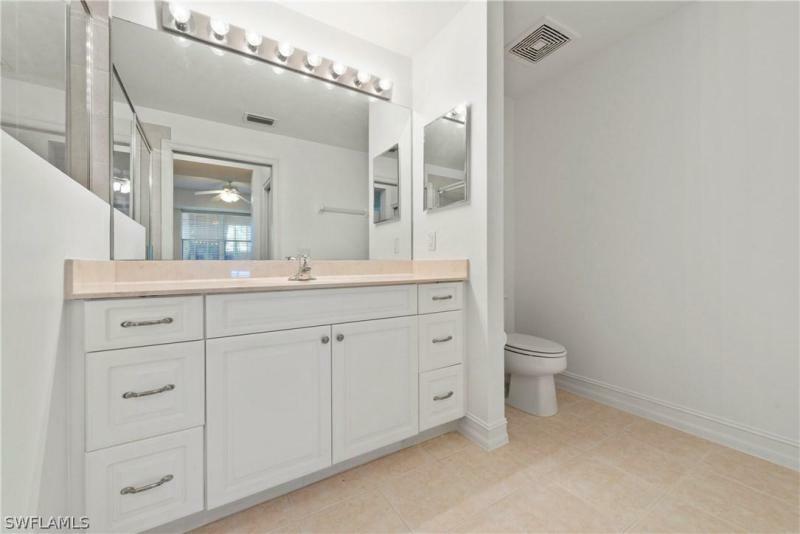 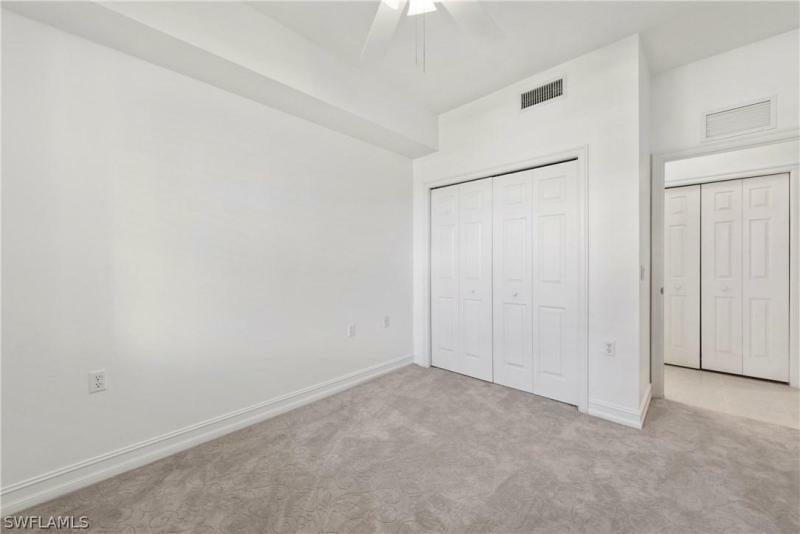 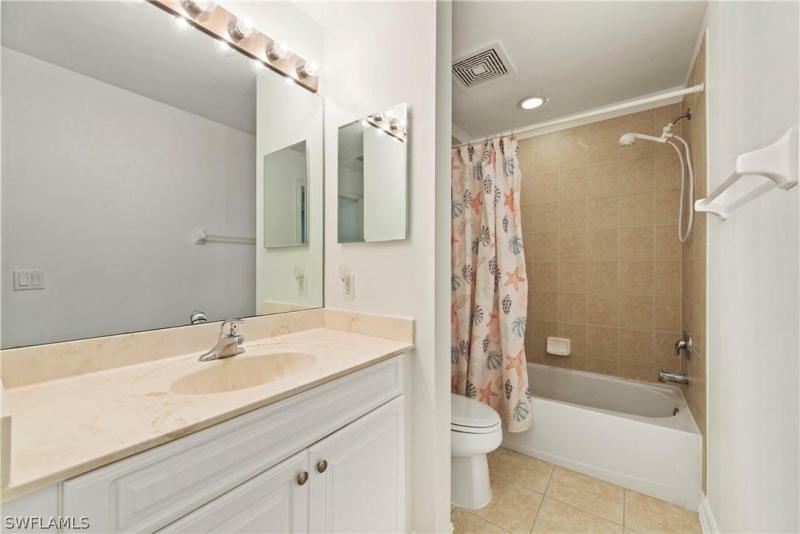 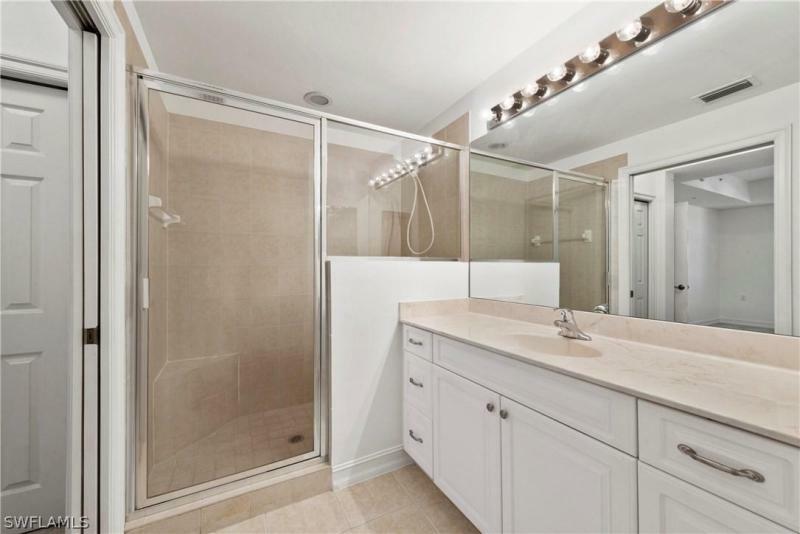 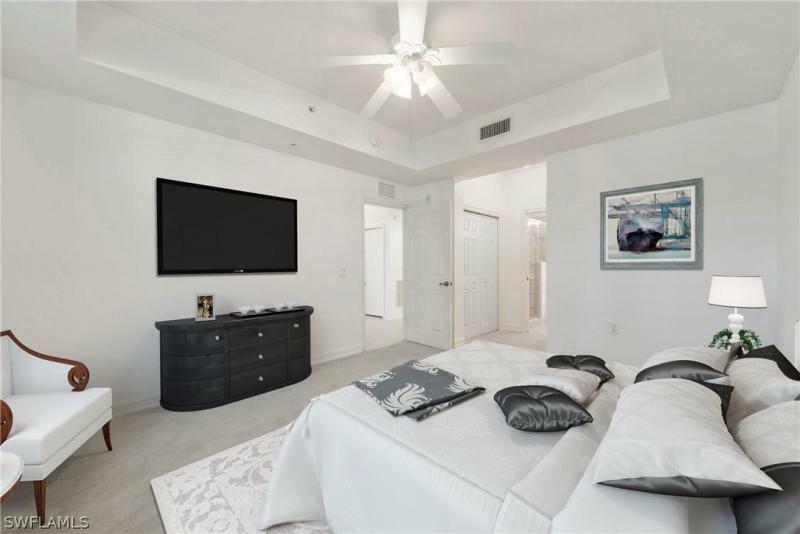 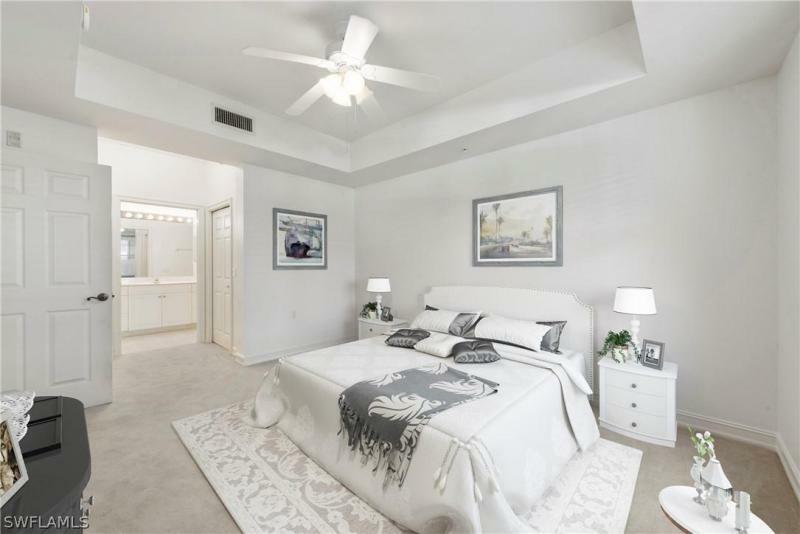 Add your personal touch to this blank canvas and start living the good life! 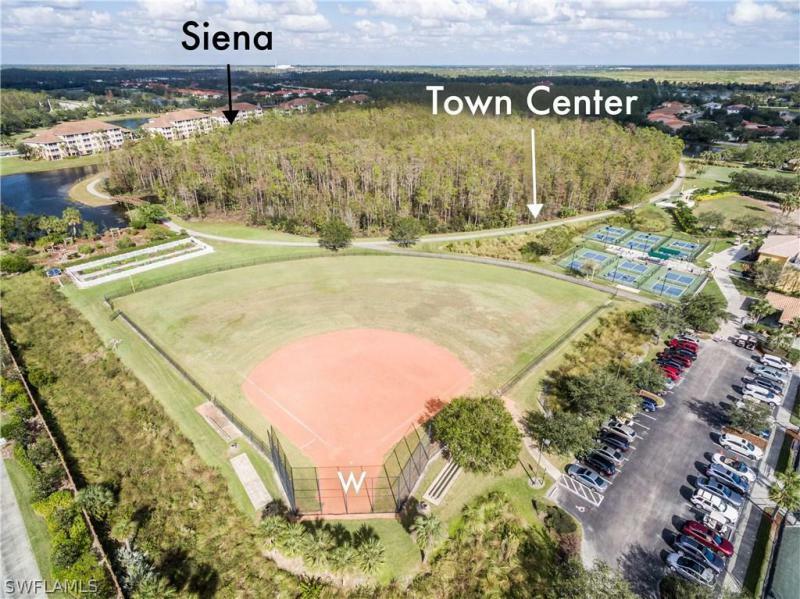 What residents love most about the Siena neighborhood is location, location & location. 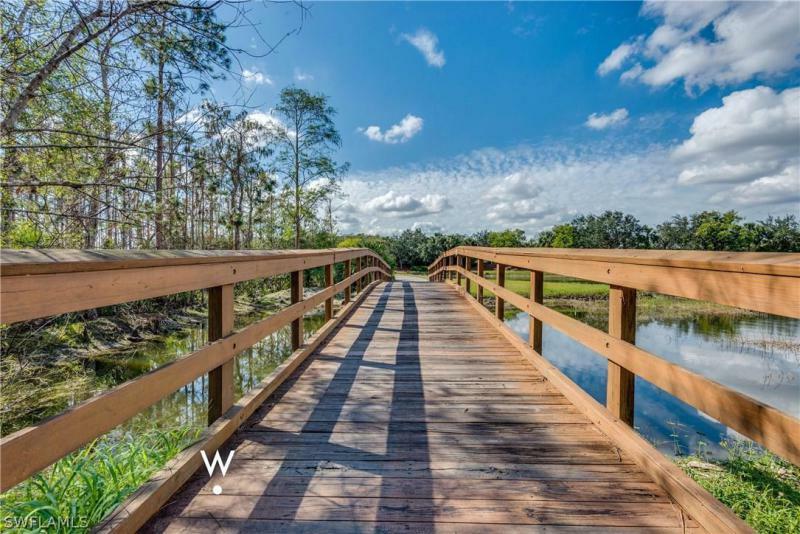 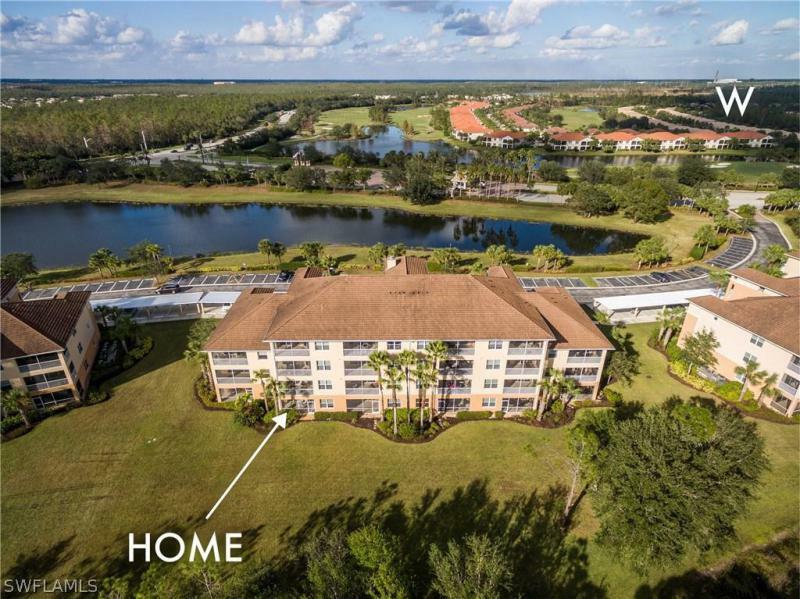 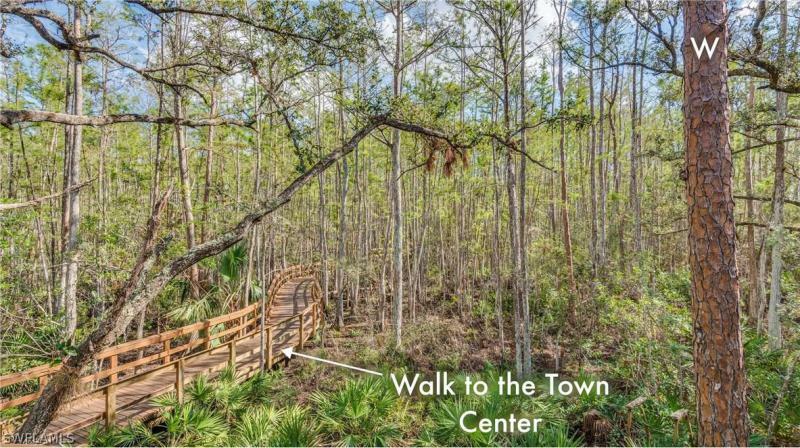 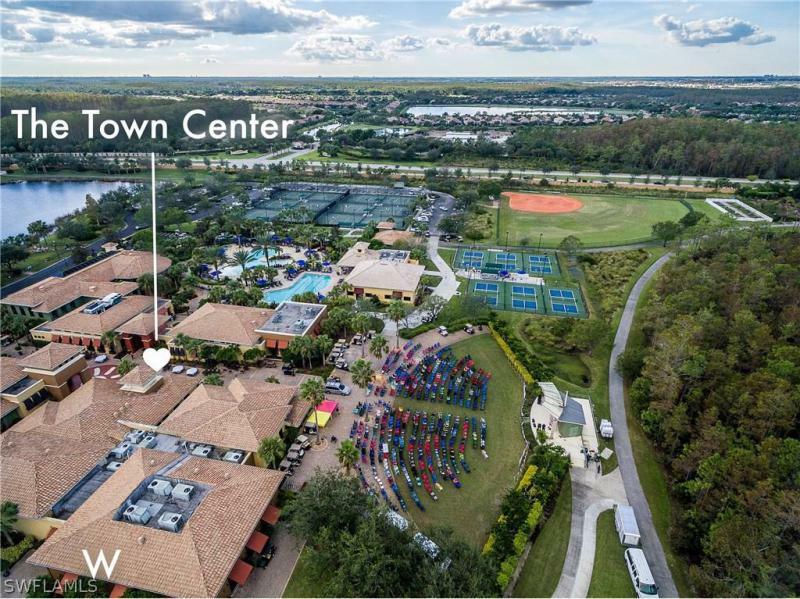 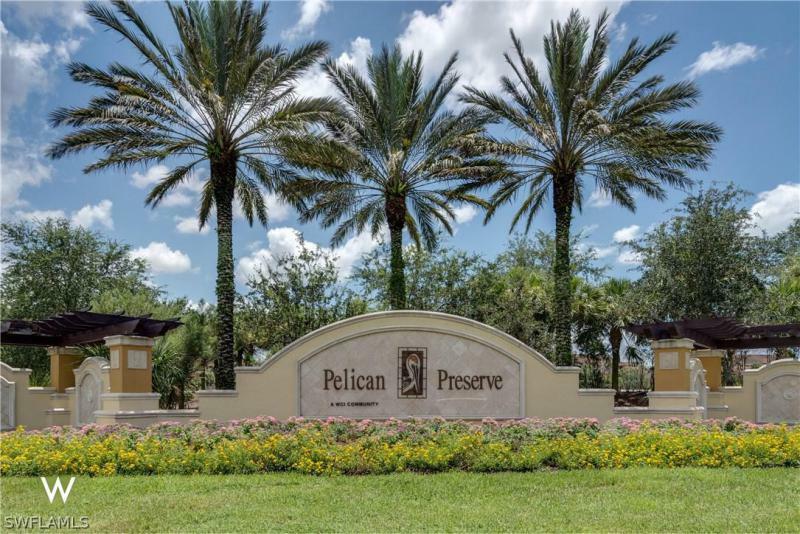 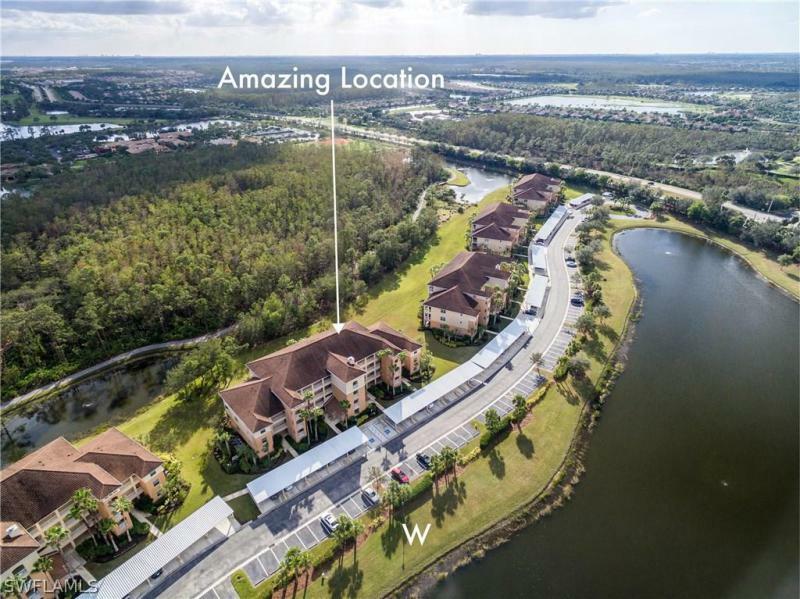 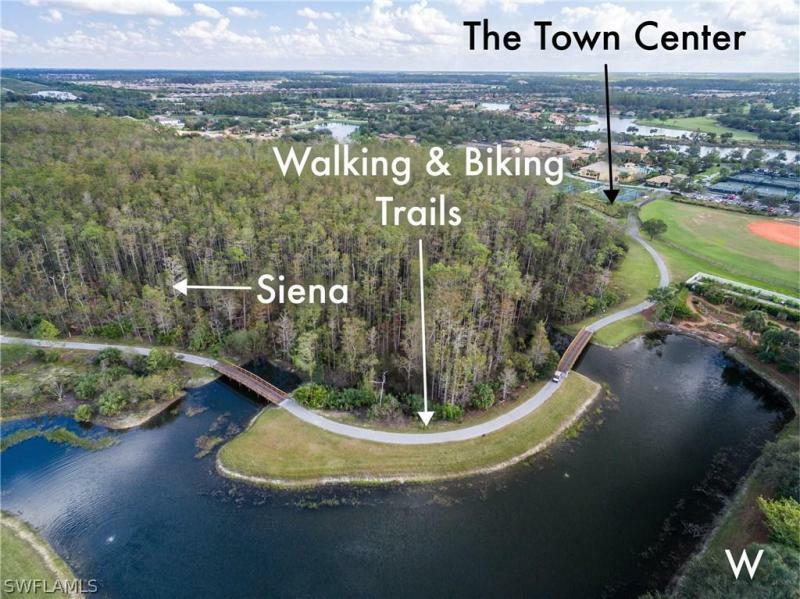 Here you can enjoy a quick leisurely stroll to Pelican Preserve's famed town center via the paved nature trails - no expensive golf cart needed here. 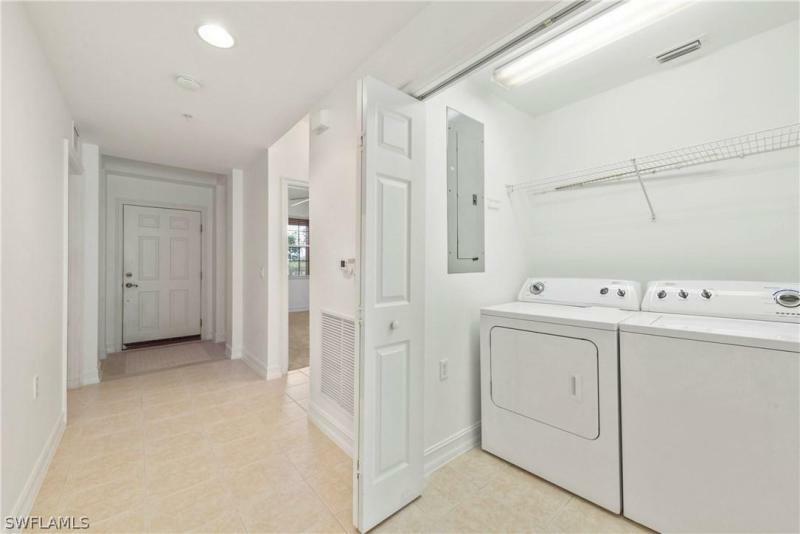 The 2 bedroom 2 bathroom home is located on the first floor making it super convenient when on the go or time to walk the dog in the spacious rear lawn. 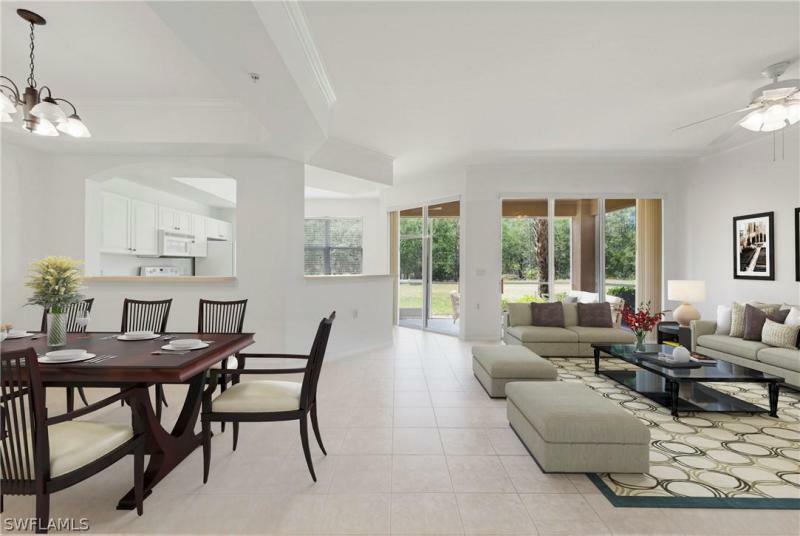 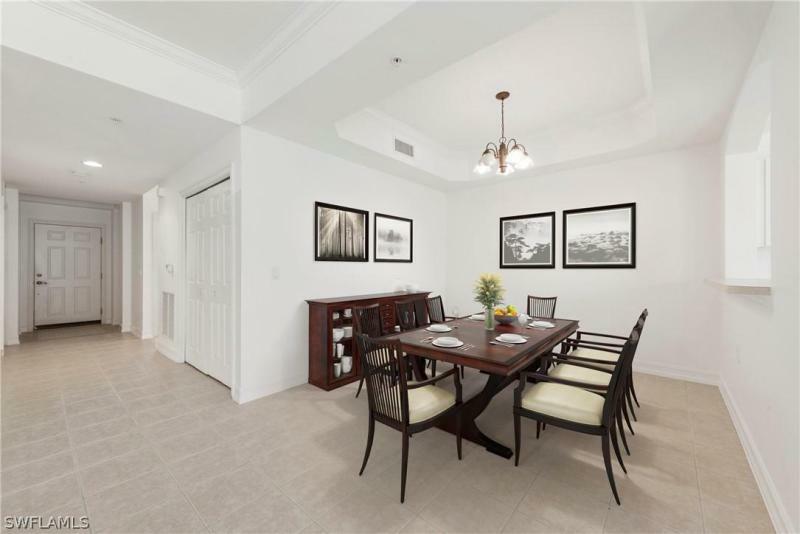 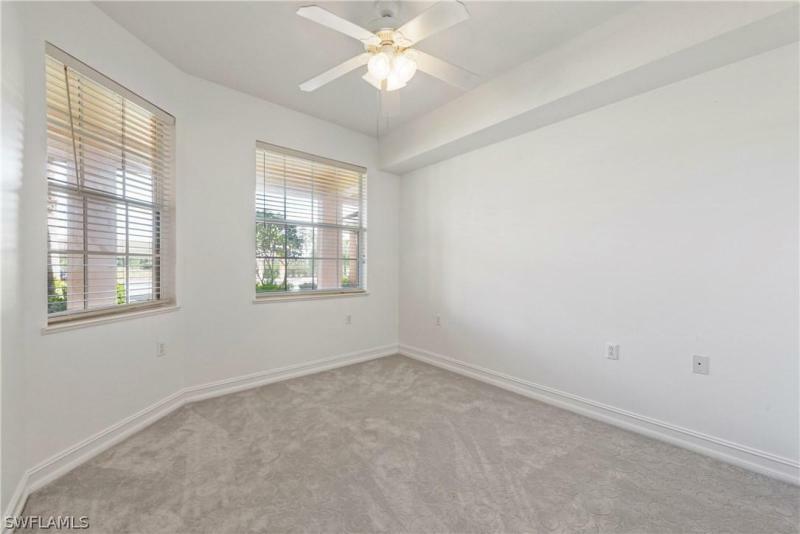 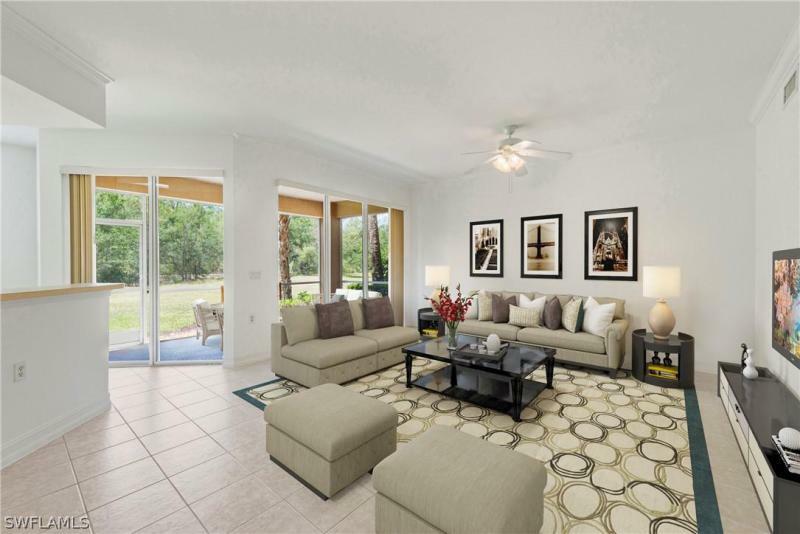 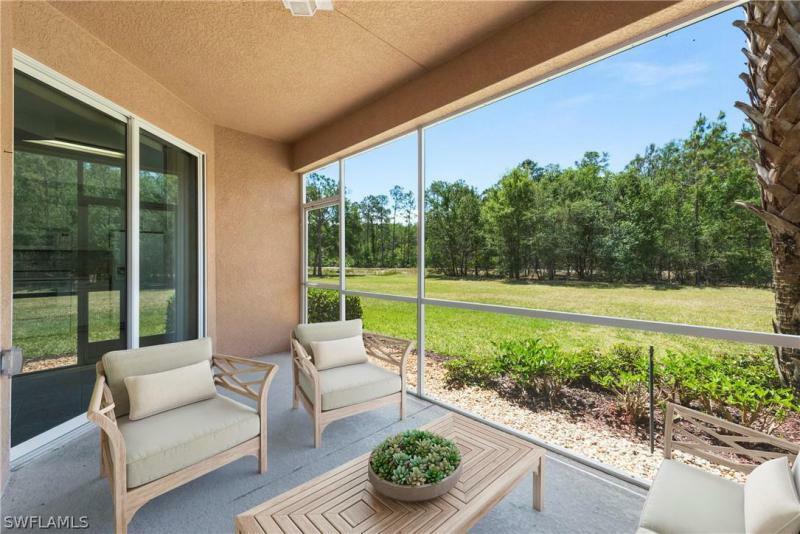 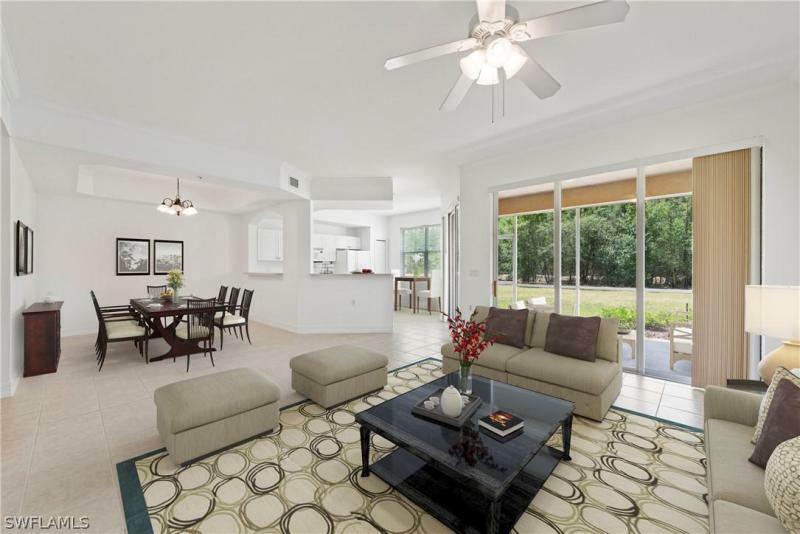 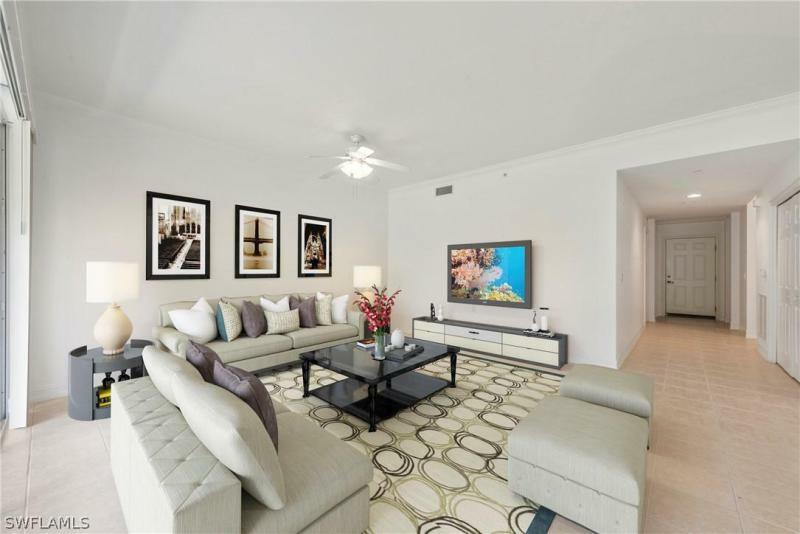 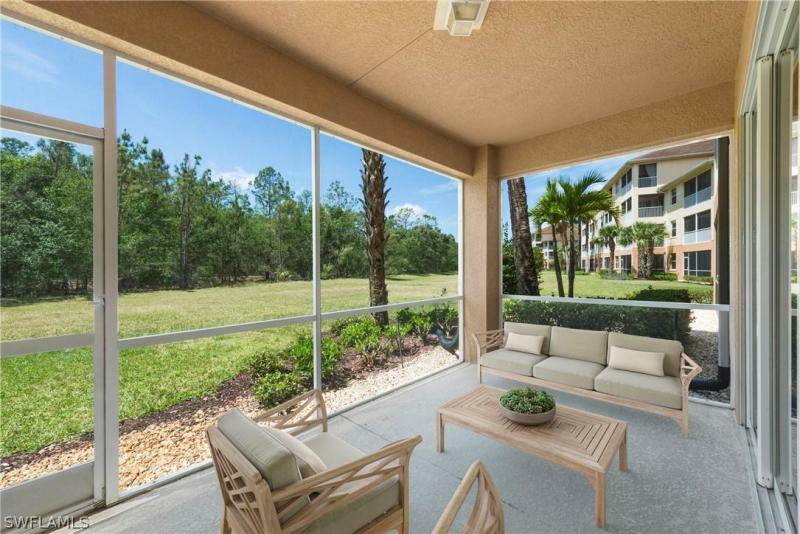 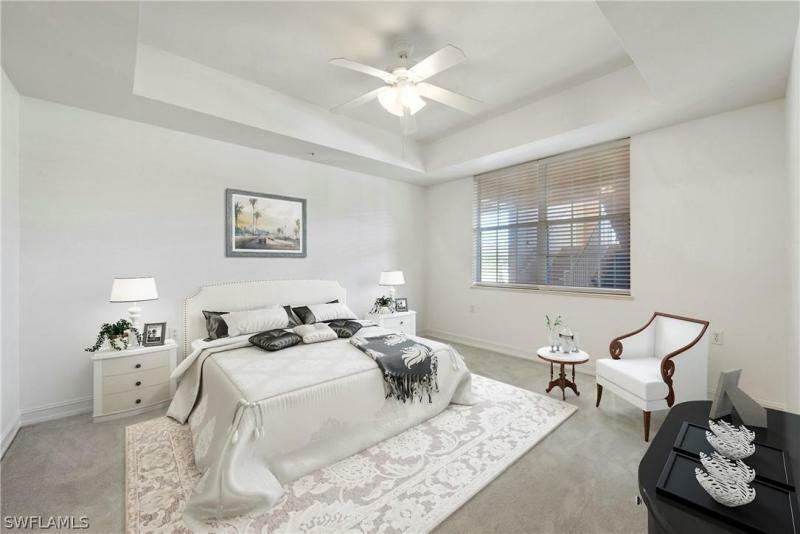 This home is extra light and bright due to the double set of sliding glass impact doors and the lanai is open on two sides which is like having a corner home - you can feel the difference inside. 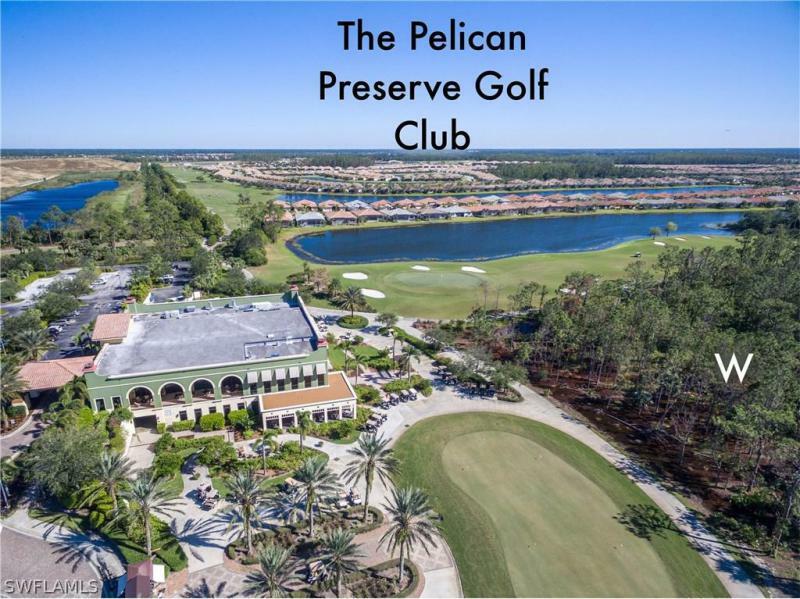 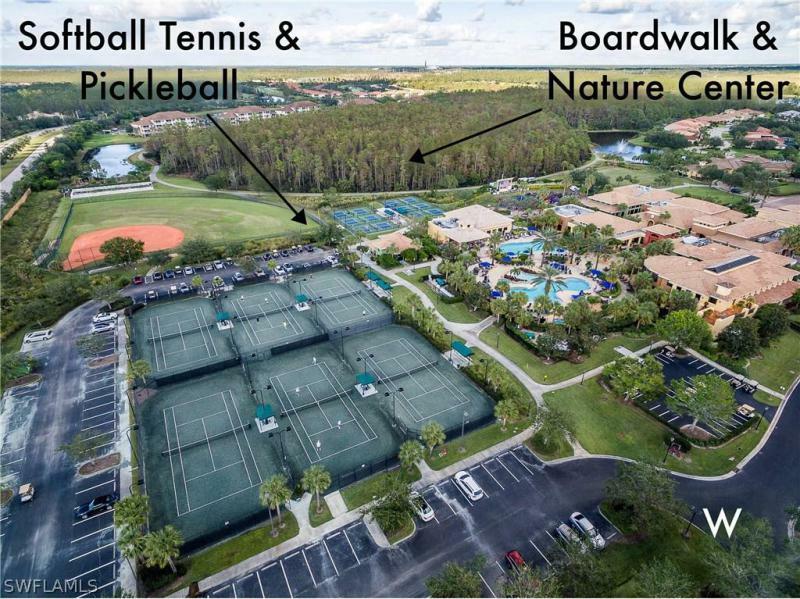 Pelican Preserve offers an unparalleled lifestyle all within the resident town center - organized tennis, pickleball, billiards, cards, indoor & outdoor pools with drinks & dining, cinema, fitness, wellness, arts & crafts, woodshop, concerts, themed events, walking & biking paths, dog park & fishing areas, optional golf memberships & more. 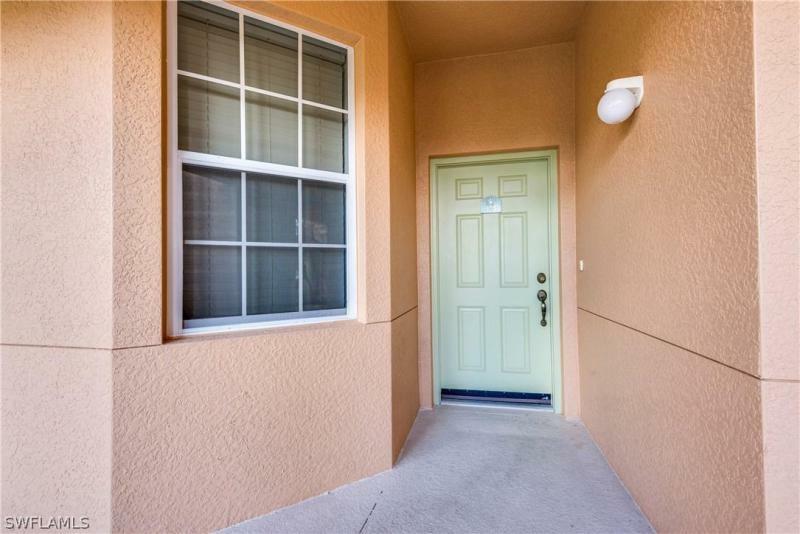 Less than 15 minutes to the airport, major shopping & medical.